"The ability to shift from reacting against the past to leaning into and presencing an emerging future, is probably the single most important leadership capacity today"
Dr. Scharmer has a unique new technology of building up listening skills. 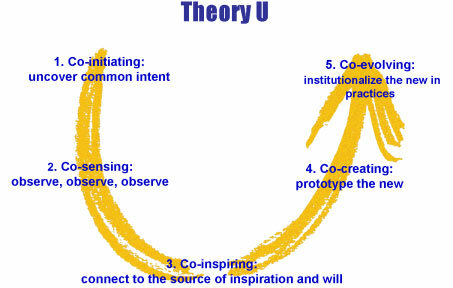 It's called Theory U, and it is a vital element of the Leadership from the emerging Future program. (Watch the video above). 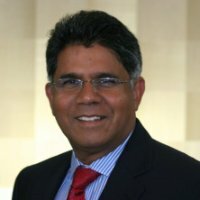 The Instructor for the LFEF program is Mr. Ferdi D'Souza - an internationally recognized name in leadership development. He has a track record for altering organizational culture and developing leadership at all levels of the organization. This leadership coaching is grounded in a technology whose roots lie in a conviction that, to be a leader one requires a depth of understanding and acceptance of oneself - a willingness to distinguish what is missing in oneself and then to develop it. Ferdi's style is simple yet empowering. He listens, and when he speaks, what he says leaves you with a transformed and empowered view of life from which improved productivity and performance emerge. For more details about these Leadership From the Emerging Future program you can download the pdf brochure and even book your seat. Alternatively, use the form below to contact us for a detailed conversation. from Ego systems to Eco System"
Write to us at info@managementinnovations.co.in Or fill up this form with your contact info and a brief idea of your requirements. We'll get back to you soon. © Copyright - Management Innovations.